Your vacation plans are set—flights are booked, you have chosen the hotel and restaurant reservations have been made. Now the really fun/hard part: what to pack. No need to stress. The Noir Friday vacation edit includes everything you need for your summer vacation, whether you’re frolicking in some coastal town, enjoying lake life or trying to stay cool in the city. I scoured all the sales to come with the best dresses, shoes, bags, accessories and beauty products, no matter your destination. With the sale season coming to a close, you’ll be able to stuff your suitcase with dreamy pieces you picked up at rock-bottom prices. There are some beautiful dresses left on sale. Some of my favorites for a summer holiday include the Innika Choo and Gül Hürgel pieces. My favorite bags for summer remain the Cult Gaia ones and there are still a bunch on sale. I’m also loving the Ashish sequined totes. 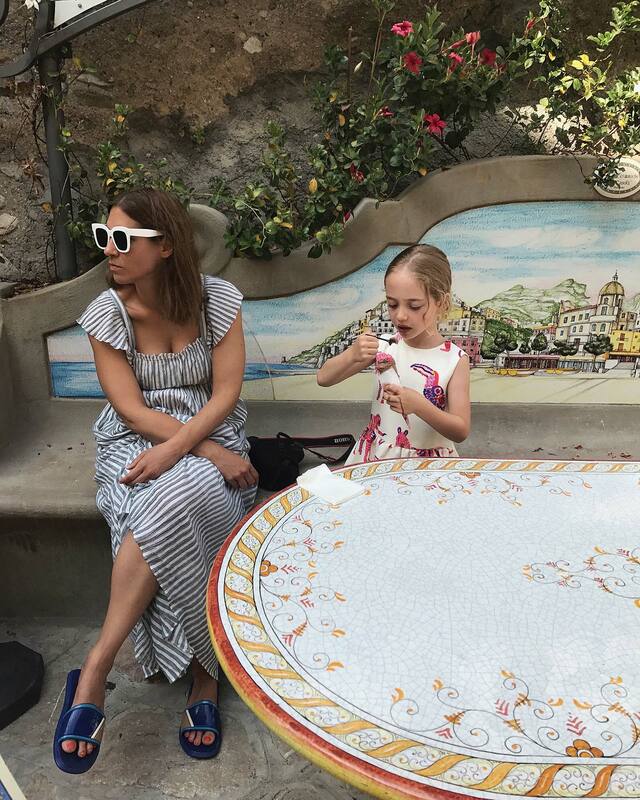 The Loewe slides look perfect for walking around a city all day, and the gingham Manolo Blahnik pumps, not on sale and an investment, were much too cute not to be featured. Dolce & Gabbana suits are my favorite. I always look for them on sale. The prints are so fun and I like the high-waisted bikini bottoms and the one-piece suits with the open back. I also really like Flagpole. And I love Lisa Marie Fernandez everything for resort. I recently tried the Charlotte Tilbury Healthy Glow and I can’t wait to get my hands on more. I’m a big fan of the Nars Multiple sticks (I’m thinking something bold like Anguilla or shimmery like Napali Coast, one of my favorite shades) and I love Gucci eyeshadow for the bold colors—how cute is the peacock blue and purple? The Sonia Rykiel striped dress is so cute and those swan sunglasses—meep. I included a bunch of Cult Gaia jewelry below because I love it. It’s not on sale but the prices are pretty reasonable to start and it tends to sell quickly. My goal is to be comfortable and still somewhat put together. Photo: I’m wearing an Ulla Johnson dress (recent ones linked above), Prada slides and Celine Sunglasses. Alexandra is getting chocolate gelato all over her MSGM dress for girls.